Our goal is to help you get into the car of your dreams! Check out your lease, loan, and financing options right here! You can find out your instant car loan rate, do some research, and get in touch with our finance specialists right here! Our experts are ready and waiting to help you figure out your financing. We will get you into the car of your dreams, at the price that is right for you. Low interest car loans are available for customers with existing loans. We can even help you refinance your car loan or adjust the term of the contract. So don’t let money get in the way of getting the right car. 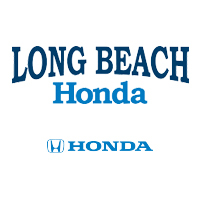 Let Long Beach Honda help you figure our your budget and financing options, and get started with your car shopping right now! Please contact us with any questions by using the button below or calling 562-781-6988.